Last year John Roulac, the former CEO and founder of superfood brand Nutiva, started a CBD business as a “hobby.” Now RE Botanicals is in 150 doors with commitment for another 850, has 10 employees and as of today, a backer with money. The company announced today the close of a $2 million round of funding, with $1 million of the investment from firm BIGR Ventures and the balance from a group of natural and organic industry veterans. The capital, Roulac told NOSH, will be used to buy more inventory, grow the team and invest in marketing with the goal of being in 2,000 doors by fall — less than a year after the brand launched in [just] four stores. Carole Buyers, managing partner at BIGR, told NOSH that BIGR has been evaluating the CBD space for over a year alongside broker Presence Marketing, which is owned by BIGR managing partner Bill Weiland. The group only felt comfortable moving ahead with an investment once the 2018 Farm Bill passed, legalizing hemp on a federal level. While the legalization of CBD derived from hemp has opened the door for investors, it’s also resulted in increased competition. Roulac told NOSH that when he started RE “there were a thousand [CBD] brands ahead of us and we were a thousand and one.” But the brand has been able to rise above the fray by focusing on both efficacy and agriculture — emphasizing that how hemp is grown is as important as how well it works. Roulac has always been a champion for regenerative agriculture. In the late 1980s and 1990s he advocated against clear cutting California forests and realized that hemp could provide alternative building materials in place of wood. That led Roulac to start Nutiva (which means the nut of cannabis sativa) with an original product line of hemp seed bars. After leaving Nutiva, Roulac decided to start a CBD brand that resolved his own issues with the CBD industry. Of course while mission is important, product efficacy is as well. Buyers told NOSH that she and the BIGR team quickly determined that investing in a CBD supplement business was the best course of action because the format provided the best results for consumers. 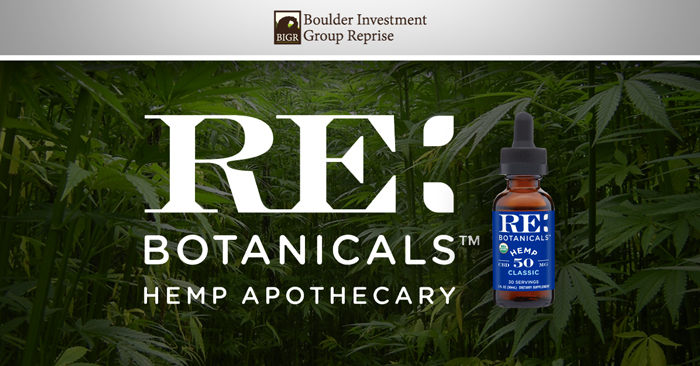 Of BIGR’s current fund, RE will be the only CBD investment, Buyers said, although, some BIGR portfolio companies may experiment with CBD enhanced SKUs. 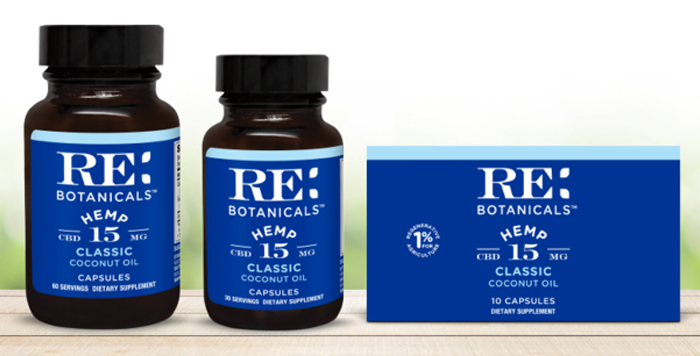 While there may be temptation for RE to enter the food and beverage space, Roulac and Buyers said they plan to keep RE focused on the most efficacious forms of CBD (supplements and topical creams). There’s plenty of room to grow even within those boundaries. Roulac said only five to seven percent of U.S. consumers have tried CBD. Yet, roughly 40 percent of U.S. adults over the age of 21 “indicated a willingness to explore CBD under the right conditions,” found research firm High Yield Insights. 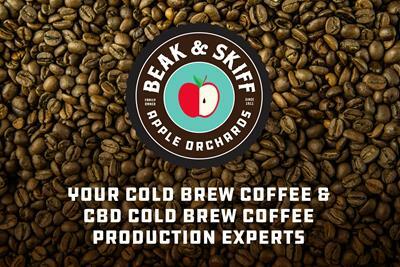 RE, and the entire CBD industry, still faces plenty of regulatory hurdles to overcome in making CBD readily available. Buyers said she thinks upcoming FDA regulation will eventually shape how the category is managed while Roulac added that further state legislation by major players, such as California, will also eliminate regulatory confusion. Most important, he said, is that consumers need to be won over.